On Sunday, March 31 at 9am EST, Whitley’s Auctioneers, located in the Fort Lauderdale area of historical Dania Beach, will hold their highly anticipated spring Asian, Fine Art and Antiques auction. Included in the sale are three major estates from Europe and the United States. A preview day on Saturday, March 30, will be held from 11am-4pm EST. 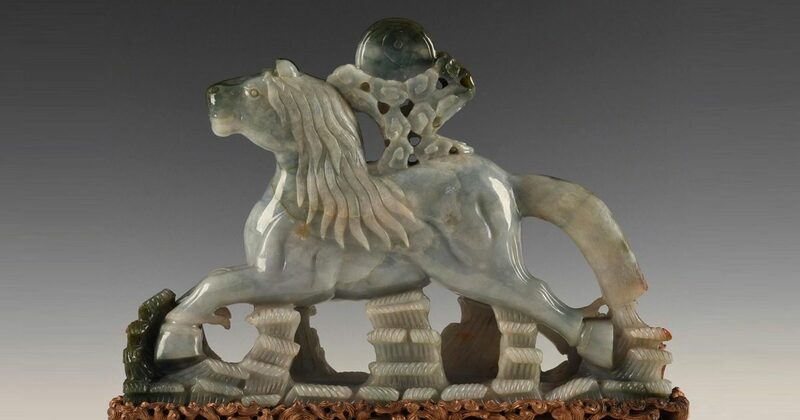 In the Asian section, centuries-old examples of Jade, Cloisonné, Satsuma, Jewelry, Stone Carvings and other rare Asian items dating as far back as the 12th century will be appearing for at auction for the first time. Of particular note is an important book by YINGZAO FASHI (YING TSAO FA SHI) LI JIE TAO EDITION, (Title translation: Treatise on Architectural Methods or State Building Standards.) This original 1925 edition, is a technical treatise on architecture and craftsmanship written by the Chinese author Li Jie (1065-1110), an official who supervised of state buildings and construction during China’s Song Dynasty (960-1279). This is the oldest existing technical manual about Chinese architecture to have survived intact and in its entirety. You can see more details by clicking here. Exquisite items in hallmarked silver including 4 sterling silver entree sets, gifted to TO THEIR ROYAL HIGHNESSES THE PRINCE & PRINCESS CHRISTIAN OF SCHLESWIG HOLSTEIN ON THE OCCASION OF THEIR SILVER WEDDING (1891) are available. Other famed silver brands include Reid and Son, Thomas Heming- the Principal Gold and Silversmith to King George III, Walter and John Barnard, and works attributed to Zuloaga Family. Paintings recently de-assed from the collection of Lighthouse ArtCenter in Tequesta, FL are being offered. Founded by Christopher Norton, son of the founders of Palm Beach’s Norton Museum of Art, the Lighthouse ArtCenter consists of a two-building campus. Funds from the sale of historical artists like Ellen Pyle, a portrait of Elizabeth Norton by Louis Betts, Alfred Hair of the Florida Highwaymen, A.E. Backus will be allocated to a two phase capital campaign focused on expanding and purchasing the School of Art . The live auction takes place at Whitley’s Auctioneers, located at 485 South Federal Highway Dania Beach, Florida 33004. Telephone, live and online bidding options are available. For more information on specific items, you can email info@whitleysauctioneers.com or call +1.954.866.8044. This entry was posted in Artist Highlight. Bookmark the permalink.